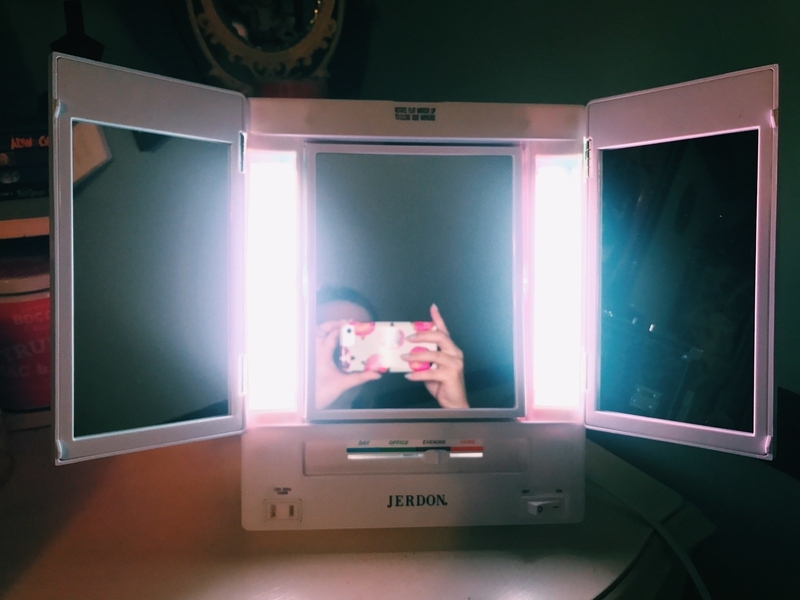 If you have terrible lighting in your room and often leave the house with poorly-blended foundation, then you need this affordable makeup mirror. Good lighting is important for selfies, sure. But you know what else it's important for? MAKEUP — because it's very easy to look Oompa Loompa orange when your bathroom lighting betrays you. 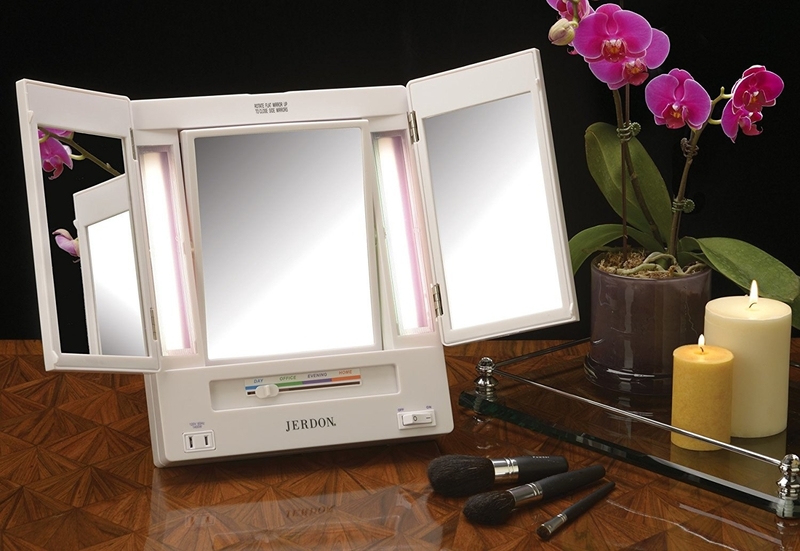 Introducing the the Jerdon Tri-Fold Lighted Makeup Mirror! A must-have tool to ensure that your face and neck are the same color. This mirror comes with four different light settings: day, office, evening, and home. 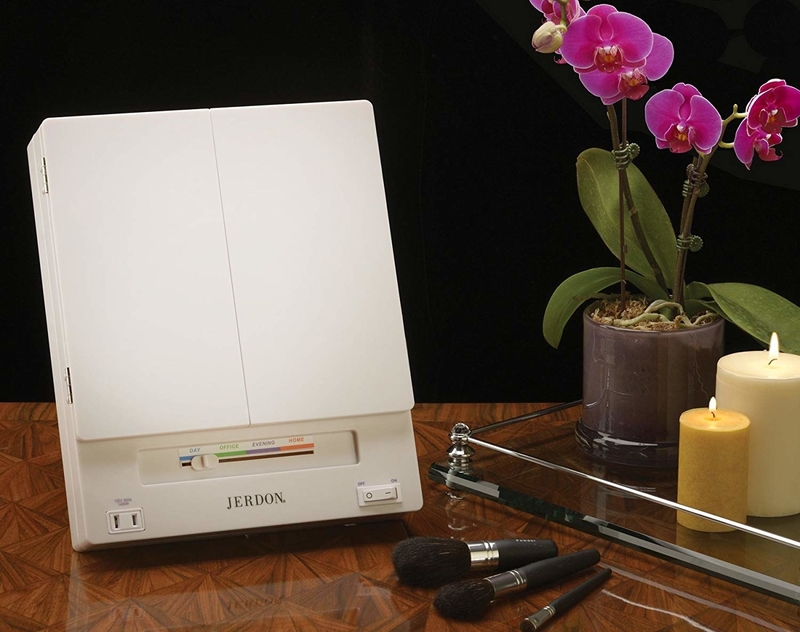 Each setting emits a different light that lets you tailor your makeup ~lewk~ to fit different scenarios, squashing all your “I have terrible lighting in my room” complaints. Plus, you can alter the magnification on this mirror to get up close and personal with every blemish on your face. HAAAY! That sounds terrifying, I know. But hear me out! While this sounds dreadful, it really does help to put on concealer when you can actually see what you’re trying to conceal (and then blending that concealer out — that way it doesn’t look like there are random blotches of pale orange on your face). Also, this thing is great for when you’re trying to tweeze your eyebrows: It helps you see every one of the little suckers you’re trying to pluck out. PLUS! It has a little outlet that you can plug your devices into (phone chargers, hair straighteners, and whatever the heck else). And if you don't feel like listening to me babble anymore, fine! Read some of the words written by Amazon reviewers instead. IN CONCLUSION! 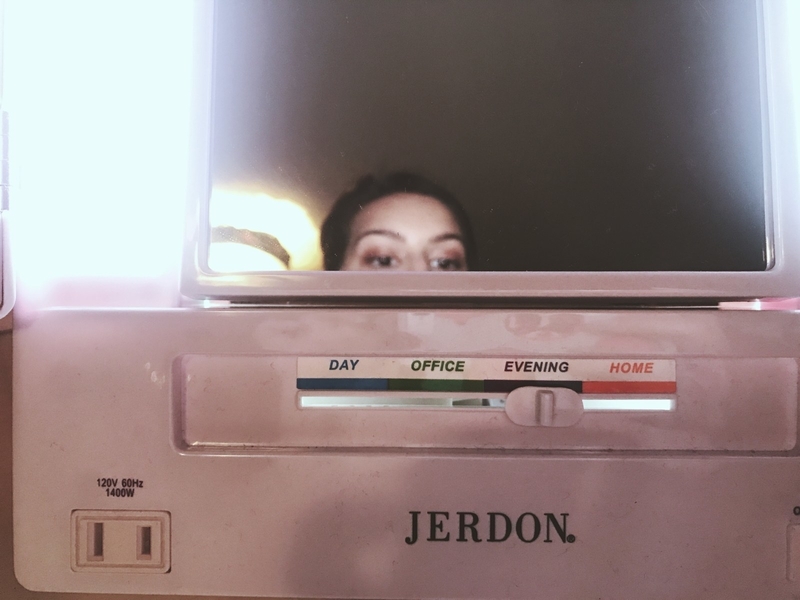 If you don’t plan on moving into a lofty apartment with a ton of natural light anytime soon, this lighted makeup-mirror was made just for you. ^You after finally purchasing this mirror. WHAT YA WAITING FOR? Get it from Amazon for $33.91.